Ok I’ve been off taking a break from MMOs and computer gaming in general actually. Been playing some roguelikes, newer ones that the good old Moria I use to play back in the day. Anyway, today I upgraded my Windows PC to Win 10. And it went smoothly overall, except for one minor issue – graphics driver is not doing so well. Instead of the lovely 2560 x 1440 resolution I have become accustom to, I am getting a whopping 1024 x 768. 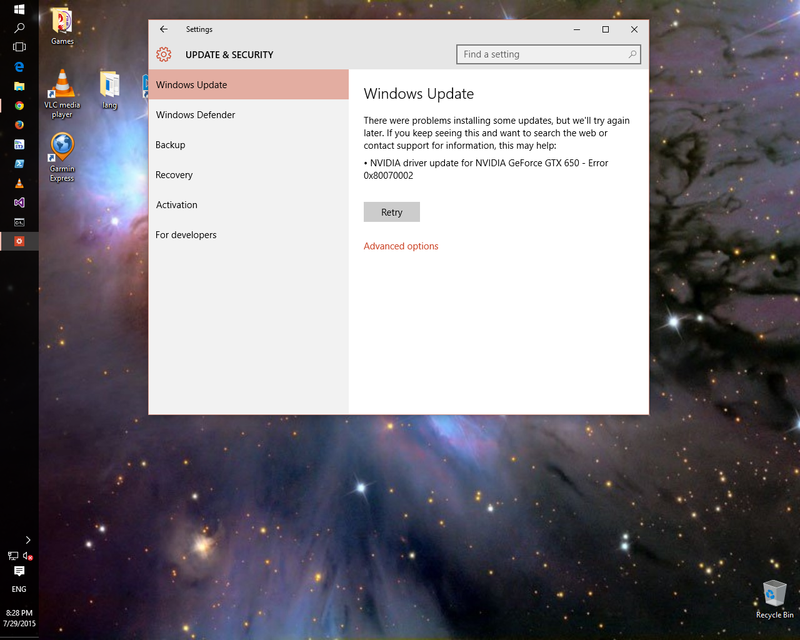 Windows update does see a newer driver is out there, but fails to download it. It seems to be some variant of “File Not Found”. Great. 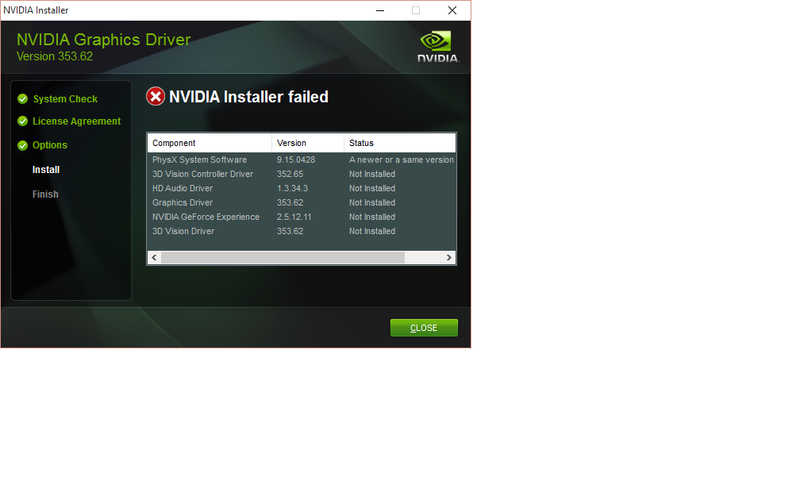 I went straight to the nVidia website and downloaded the Win 10 353.62 WHQL drivers. Straight from the source, those have got to work, right? It’s crap like this that makes we want to junk my PC (well, install linux onto it) and just do my gaming on a PS4 or my Mac or my iPad. I can get ESO and FFXIV for the PS4 plus several other games I’ve been eyeing (Witcher 3 now, Fallout 4 later), play the indie-type games on my Mac (my Mini only has integrated graphics so while I can run GW2, LoTRO, and various other games, it is a strain), play the mobile implementation of various boardgames on the iPad, and not have to deal with all this crap. I’ll fiddle some more, but I have a bad feeling that I’m going to end up clean installing. On the bright side, the partially failed nVidia install did let me bump my resolution to 1650 x 1080. Which still looks like garbage since that isn’t the native resolution of my nice monitor.